Our Camp Counselors are the ones who make camp the highlight of our camper’s year- so much so that they talk about it right on through Christmas. Our 2:1 camper counselor ratio, special trainings, and counselor coaches all work together to help you be the best counselor you can be. As a counselor you’re the one who gets to high-five a camper for catching his first fish, be the first one to tell a little girl that she is beautiful, and listen as a camper shares their life story. You’re the one who makes our campers feel like they are amazing. You’re the one who tells them how much God loves them and you’re the one they look up to. Ages requirements: Head Counselor-18 yrs. and older; Assistant Counselors -16 yrs. and older (18 yrs. for senior weeks). The role as counselor is one of the most important jobs at camp. You may have to settle fights, go on little sleep, and show love when a camper does everything to get your goat and make you mad. But you also may have the opportunity to lead that camper to salvation in Jesus Christ, and see them go from despair to hope during their time at camp. You can watch them begin to laugh and sing and seek God on their own, and know that you were a part of the change. You are not just babysitting your campers, you are mentoring them and developing relationships that could last for many years. You can be their hero, a light in their dark world. You will be responsible for 2-3 campers almost 22 hours a day. There will be a counselor and assistant counselor and 4-5 campers in each wagon. Assistant Counselors are basically the same as Head Counselors, except in matters in the wagon cabin, the Head counselor has the final say and responsibility in situations. Main Goal: To love and lead campers as you follow Christ and create an atmosphere of safety so campers can grow spiritually, emotionally, and physically. To share the gospel with the campers and encourage them in their relationships with God and others. To build a mentoring relationship with the campers. Be sensitive to the spiritual, physical, and emotional needs of your campers. Be available and ready to listen to them. Be aware and deal quickly with brewing problems and camper conflicts. Be a part of your wagon team without being one of them (be child-like, but not childish). Campers look to the counselor for friendship, but also for authority. Take advantage of “teachable moments,” such as a beautiful sunset to talk about God. Put the well-being of the campers before your own personal desires. Take campers to the Health Director for homesickness, heat exhaustion, any minor/major injury, bug bite, or illness; or any medical emergency. Plan and share with your assistant counselor (head counselor) so you can balance and complement each other. Communicate with the Counselor Coach needs and problems, NO LONE RANGERS! Participate in counselor meetings each morning. Abide by and cooperate with CDO polices and help your campers do the same. Encourage cleanliness in campers’ personal habits and set a good example. Be sure each camper is on-time and present for all activities. Exceptions can be made through the Counselor Coach. 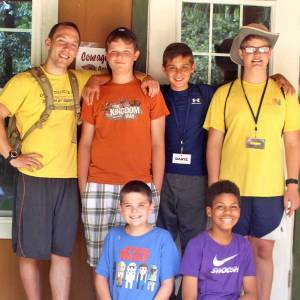 Fill out Camper Debrief forms, Character Awards, and the Staff Weekly Evaluation forms. Pray, pray, pray; without the strength of the Lord you can not accomplish anything.